Actor Frank Vincent attends "The Sopranos: The Complete Fifth Season" DVD launch party at English is Italian on June 6, 2005 in New York City. 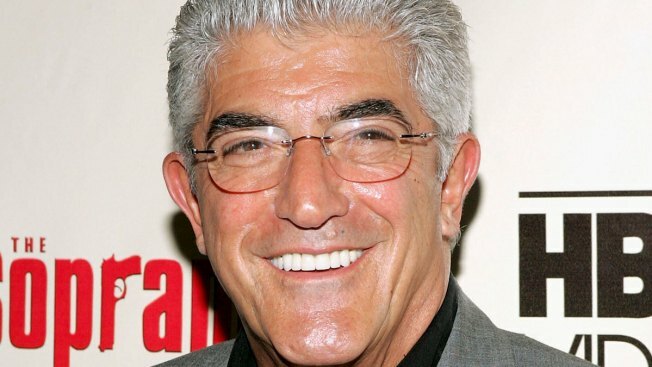 Frank Vincent, a veteran character actor who often played tough guys, including mob boss Phil Leotardo on "The Sopranos," has died. He was 80. Vincent died peacefully on Wednesday, a statement from his family said. No cause of death was given. Besides Leotardo, the ruthless New York mob boss who frequently clashed with Tony Soprano on the popular HBO drama and who was memorably whacked at a service station, Vincent portrayed gangsters for director Martin Scorsese. He appeared in "Raging Bull," ''Goodfellas" — where he played Billy Batts, a made man in the Gambino crime family — and "Casino," playing Frank Marino, based on real-life gangster Frank Cullotta. Vincent had small roles in two Spike Lee films, "Do the Right Thing" and "Jungle Fever," and also was in "The Pope of Greenwich Village," ''Last Exit to Brooklyn," ''Night Falls on Manhattan" and "Shark Tale," among his more than 50 movies. Raised in Jersey City, New Jersey, he acted in school plays and learned piano, trumpet and drums. As an adult, he became a session drummer for such singers as Paul Anka, Del Shannon, Trini Lopez and The Belmonts. In 1975, he made his feature film acting debut in Ralph DeVito's "Death Collector," where he was spotted by Scorsese. In 2006, Vincent published "A Guy's Guide to Being a Man's Man." As word of Vincent's passing spread, friends and fans expressed their condolences across social media.